Put A Face To A Name – This is a great opportunity to finally meet some of those people you’ve chatted with via e-mail or whose blog posts you’ve read for the last two years. I was able to finally put a face to a name for fellow blogger, Marilyn Guthrie (SheWorksWood.com), as well as Raney Nelson (Daed Toolworks) and Jason Weaver. Avoid Shipping Charges – After I made plans to attend Hand Works (when it was first announced, back in November of 2012), I looked at the list of vendors that were going to be there and started saving up some money for things I knew I wanted to pick up in the next year. While I was there, I bought a Gramercy saw vise and curved rasp, a Knew Concepts fret saw with a handle by Elkwood, and a Lost Art Press cap, all without paying any shipping charges. Make Contacts – For one of my woodworking side ventures, I need to start making contacts with people who are in the tool business, whether it is making tools, designing tools, or using tools for a living. It is always easier to begin making these contacts in person. At Hand Works, I was able to spend a little time with Bob Zajicek of Czeck Edge Hand Tools, Ron Bontz of Bontz Saw Works, Raney Nelson of Daed Tool Works, and Tim from Tools For Working Wood. Learn Techniques – I spent just as much time watching as I did talking that weekend. One place in particular where I spent a bit of time was Don Williams’ table. He did demonstrations throughout the day (both days) and was happy to discuss techniques and tips and such. I got to watch his techniques for using the polissoir in person and also got to see him use a tacking iron to melt wax onto a surface, then clean it up with a wax scraper before buffing it out with a flannel cloth for a super-quick and safe finish. I’ll be giving this technique a try in the near future, so keep an eye out for it in an upcoming blog entry. Try Out Tools – One of the main reasons to go to Hand Works is because you get a chance to visit a large number of hand tool vendors and makers, all in the same weekend, to try out the tools you are interested in before you spend your hard-earned money on them. Just as importantly for the business end of things, you also got the opportunity to try out some things you have thought about getting before, but never seriously considered. As I walked past Jameel Abraham’s Benchcrafted table, I reached out and gave the glide leg vise (with the Crisscross) a spin. And then I stopped in my tracks. I must have spent the next half hour there, poking and prodding that vise (and the bench), trying it out and picturing putting it to use in my own shop. That right there was enough to sell me on it. (Guess what I’m now saving up for!) I also got to play around with a Brese plane set up on a Tiko Vogt shooting board. Talk about a sweet setup! Unfortunately, it is a bit cost prohibitive for me. Still, it’s nice to see how well something like that works, and it helps to generate ideas I can afford to do in my own shop. Awesome Door Prizes – Wow, I’ve never seen such an amazing list of door prizes! Anywhere! 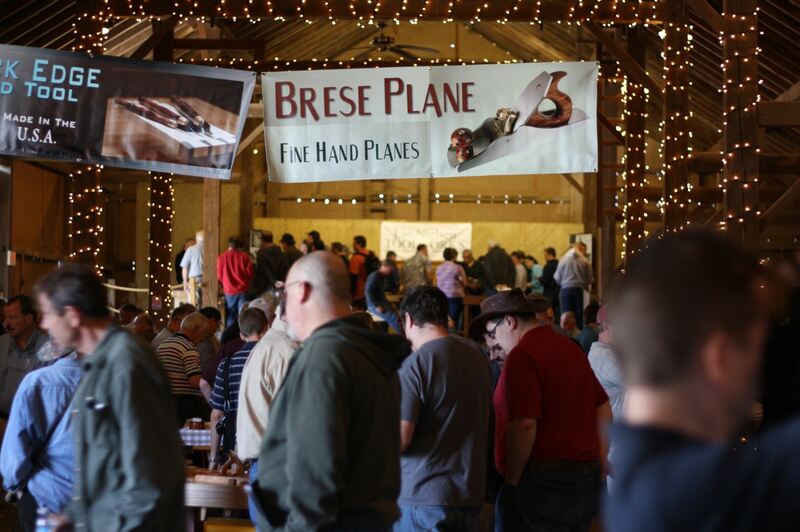 There were Brese and Daed Toolworks hand planes, Blue Spruce chisels, a Knew Concepts titanium fret saw, a Benchcrafted vise, and the list goes on and on. Rarely have I heard a crowd of 300 people get as quiet as when they were announcing another winner. The only bad thing about the door prizes is that I didn’t win any of them. Ah, well. Witty Presentations – The lecture/drool fest that took place first thing on Day Two (Virtuoso: The Tool Chest of H.O. Studley) was worth the price of admission alone (if there had been an admission charge, that is, so… actually, it was worth a lot more, like 10x the price of admission). 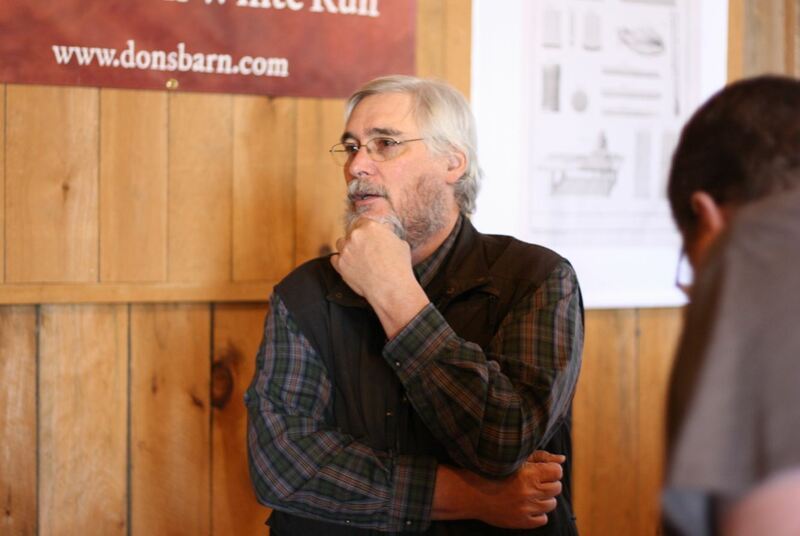 For about an hour, Chris Schwarz and Don Williams presented facts, opinions, and pictures gathered from their complete and almost exhaustively thorough examination of what is probably the most well-known (and lusted-after) tool chest in woodworking history – the one belonging to H.O. Studley. Chris and Don have examined and photographed every single tool and tool location in the chest, in preparation for a book that will be released by Lost Art Press in the not-too-distant future. All said and done, I spent about $300 total on food, gas, and lodging for the weekend. Obviously, that doesn’t include tools purchased and your costs will vary, depending on where you live in the country in relation to Amana, Iowa. But it was time and money well spent. I learned a lot, met up with some old friends, made new friends, avoided shipping costs, and had a great time mingling with others in the woodworking community. I don’t know if it is something I would be able to (or want to) attend every year, but it might be a great thing to alternate with the Woodworking In America conference in Cincinnati. Or maybe I could do a three-year cycle of seeing one, then the other, and then taking a year off from travel for conferences. In any case, if it comes back around, I’ll be sure to attend. And, who knows… maybe someday I’ll be on the other side of one of the tables. ← Sam Cappo’s Community Project Complete!